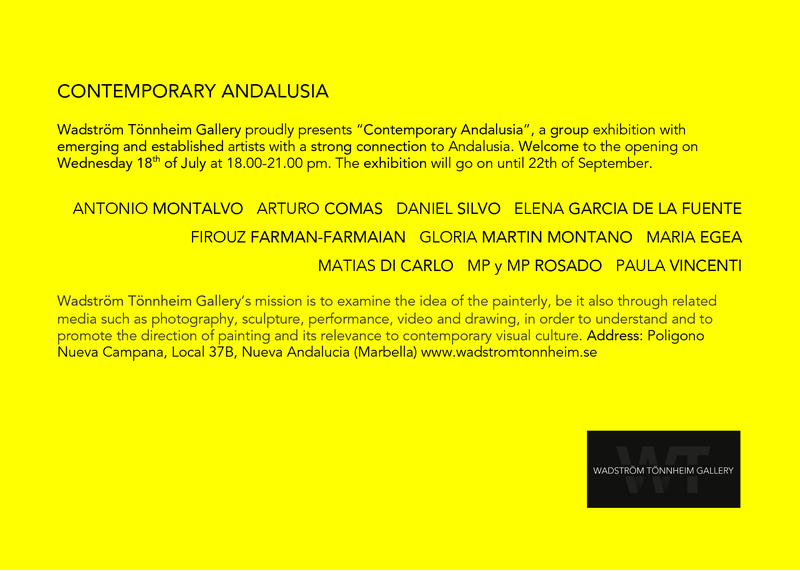 Wadström Tönnheim Gallery proudly presents “Contemporary Andalusia”, a group exhibition with emerging and established artists with a strong connection to Andalusia. Welcome to the opening on Wednesday 18th of July at 18.00-21.00 pm. The exhibition will go on until 22th of September.